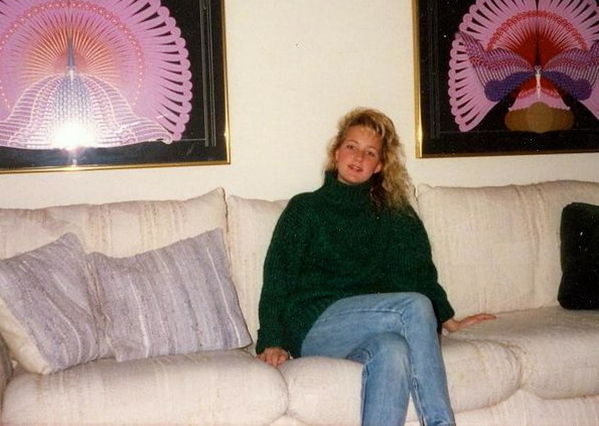 When I lost my sister, my world was turned upside down. At times the grief was overwhelming. It was during one of those moments that I picked up the phone and called the Centre for Living with Dying. The woman on the other end of the phone was a calm voice full of empathy and compassion; she listened while I broke down. She invited me into the centre to join a support group. I went. I listened, I shared, and I learned. I only went to three sessions. I found out that my grief was my own, and I was traveling a different road from the others in my group. While they were roughly my age they had all lost a parent to some horrific disease – mostly alcoholism. I had lost a sister to a car accident. While grief shares so many of the same attributes, we were dealing with different emotions. While my involvement with the Centre was short-lived, they helped lift me up a bit in that deep abyss of grief that I had fallen into. I learned a lesson there in those meetings that I have always carried with me. That lesson was to be kind to yourself. Always, but especially during times of loss, grief, undo stress – be kind to yourself. Why is that so hard? One of the first lessons we try to teach our children to is to always be kind. The Golden Rules states that we should always treat others as we would like to be treated. Yet, we do not always treat ourselves with a gentle heart. So many times we get angry at ourselves, get frustrated with ourselves, and say many negative things to ourselves. We give allowances to others that we would never feel justified in giving to ourselves. Why? Is it because we feel the need to be perfect? I once was a young mother sitting in the sand at the beach with a close friend. As we watched our children frolick in the waves, she confided in me that she works hard to be perfect – to be the perfect wife and the perfect mother. That thought totally shocked me. I told her that sounds way too stressful for me. What’s wrong with just doing your best? And letting that be what it may be? The thought of perfection? We’d never measure up! And beside I told her, perfect is boring. She didn’t buy it. She believed that it was her job as a wife to be the perfect wife; it was her job as a mother to be the perfect mom. My thought is, if we strive for perfection, we will never measure up. Does perfection even exist? I do not think so. We would never measure up to our own standards. This will lead to many frustrations and reflections on our shortcomings. This sounds like a lot of negative self-talk to me. If we don’t expect perfection from our friends, or children, our partners, why would we expect it from ourselves? I am a busy person with a long list of goals to achieve. I have found that when I am kind to myself, I accomplish more. If I treat myself with compassion when I stumble or misstep along my own path, I still get where I want to be, and I am happier. I expect a lot from myself, but I do not expect perfection. 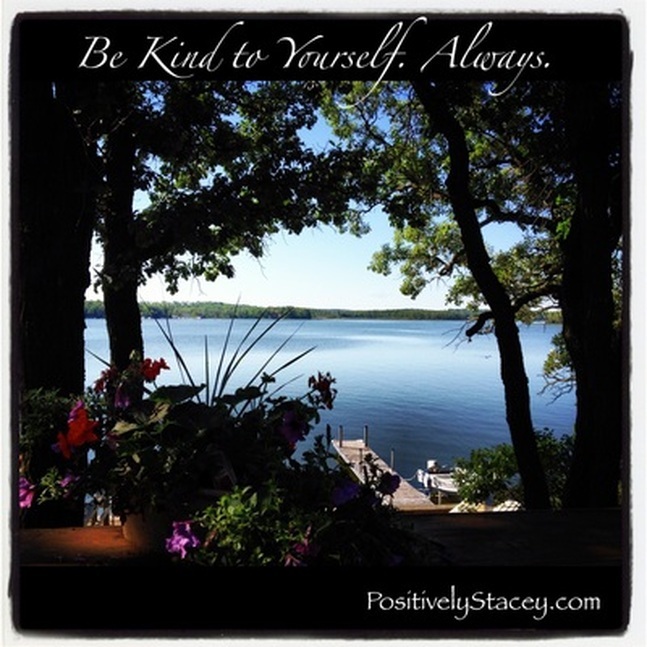 I have found five ways to be kind to myself when life gets tough. 1. Take a relaxing bath. I fill the warm tub with bubbles, turn down the lights, light candles, and turn on soft music. This “me” time helps soothe my soul. When life gets rough, I soak. It’s my number one way I am kind to myself. 2. Go to the park – surround yourself with nature. I have found hiking with a friend is one of the kindest activities that I can do for myself. Nature is soothing and hiking is invigorating. Giving yourself this time is kindness to yourself. If you can’t fit in a hike, take a walk – just get outside and breathe some fresh air while you move your body. 3. Cook your favorite dish. I love cooking, but I tend to cook for others. I am always asking others what they want put on our weekly menus. Sometimes make your favorite recipe. This feels indulgent. 4. Watch a funny movie and laugh out loud. Make some popcorn and enjoy the laughter. Some of my favorite laugh out loud movies are National Lampoons Vacation, Bridesmaids, 40 Year Old Virgin, and Ghostbusters. Find your favorite and turn it on. 5. Get a massage. This helps your body and your soul. This allows me time to completely relax and let go of all thoughts. If only for an hour, it makes a difference. Thank you, Erin. I would love to join you. Life is about finding joy in the everyday and small moments as well as the big monuments. This is such an important post. Thank you for sharing part of your journey! I’m so sorry about your sister. And you’re so right, being kind to ourselves to important and a skill almost everyone of us could practice more. Thank you, Michelle. Going through this loss taught me a lot! I’m so sorry for your loss, but it sounds like you’ve found some support and being kind to yourself is so important! Thank you, Rebecca. I think it’s important to always be kind to ourselves, but sometimes when life is stressful – for any reason – it becomes even more vital. These are great ideas, watching a funny movie or show always helps me. Sorry you lost your sister. Thank you, Karissa. Yes, funny movies can help me lighten my mood and help me turn it around. such a beautiful post. thanks for sharing that! i stress the importance of kindness to my daughter always, but im even more obsessive about teaching her kindness to herself. she could say the tiniest negative thing about herself and it just kills me. but anyways, i dont need a whole lot of me time, but i love going to the movies alone or getting my nails done. Negative self-talk can be so damaging! It’s important to teach children how to speak to themselves – you are so right! These are some great tips! So sorry for your loss, but I’m glad you found something good out of it. These are great tips for being kind to yourself. I’m going to have to practice that some more in the future. Wonderful reminder! I love the bathtub picture! I think it relaxes me to just look at it. 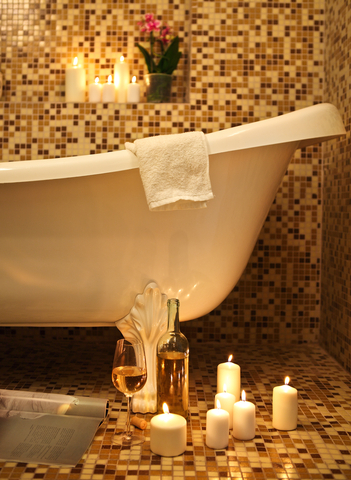 A soothing soak in the tub with lights turned low, candles lit, music playing, and a glass of wine is the best! A vacation in my own home! I truly think we are way too hard on ourselves and tend to be our own worst critique. I have also been working on taking it easier on myself because it want to live a happier and healthier life! It is so important to be kind to ourselves. My favorite way to destress is trail running. The combination of being in nature, while doing an activity I love always restores me when I’m having a tough day. Oh that is awesome! In my dreams I am a trail runner. 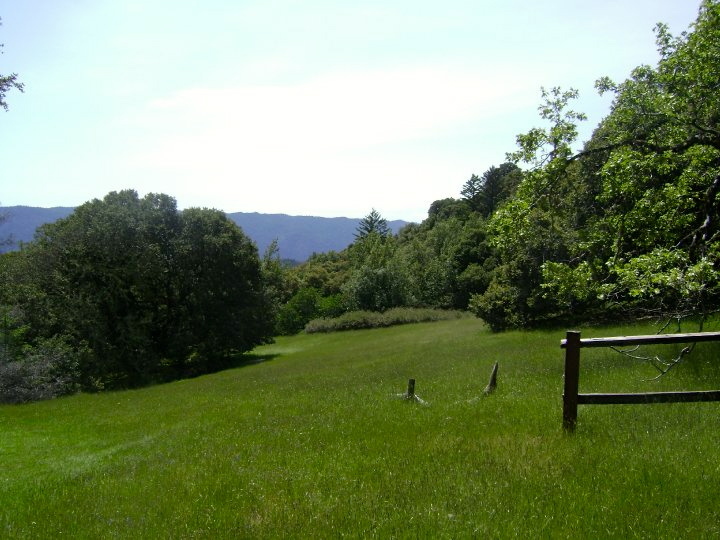 I love hiking and I try to run – it’s more of a shuffle. I think trail running is amazing! When runners pass me on the trial I am always on total awe!